Ducted Air Conditioning Installation Brisbane. 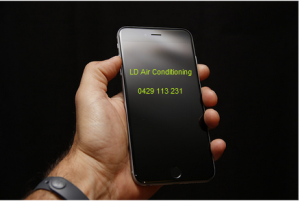 Ld Air Conditioning is Brisbane’s local air conditioning company. We supply and install latest model split and ducted inverter air conditioning system in your family home or offices. We will come out, measure and advise you the best possible place to install the air conditioning unit. Air Conditioning system is a major investment. We work hard to determine the correct size of system that will be suitable for maintaining the space during summer and winter. We will design a system that will be quiet and at the same time be comfortable to use all year round. Our knowledge extends to installing wifi systems to all ducted installation. With new technologies on the rise, we guarantee quality materials and systems used for your peace of mind. All our ducted and split installations comes with 5 year workmanship warranty. LD Air Conditioning employs a team of talented technicians who work with residential owners, building owners, builders, and managers to overcome all aspects of problems associated with air conditioning systems. We offer leading brand air conditioners at a very competitive prices. The air conditioning systems has new gas which is R-32. It is very efficient to run and has a good energy rating. The r-32 systems reduce electricity consumptions up to 10% compared to the air conditioners using R-410A and R-22 refrigerant. R-32 has a global warning that is one third lower and has low environmental impact. Commercial Ducted Air Conditioning Installation Brisbane. Ld Air Conditioning is Brisbane’s local air conditioning company. We supply and install latest model split and ducted inverter air conditioning system in your family home or offices. We will come out, measure and advise you the best possible place to install the air conditioning unit. Air Conditioning system is a major investment. We work hard to determine the correct size of system that will be suitable for maintaining the space during summer and winter. We will design a system that will be quiet and at the same time be comfortable to use all year round. Our knowledge extends to installing wifi systems to all ducted installation. With new technologies on the rise, we guarantee quality materials and systems used for your peace of mind. All our ducted and split installations comes with 5 year workmanship warranty.